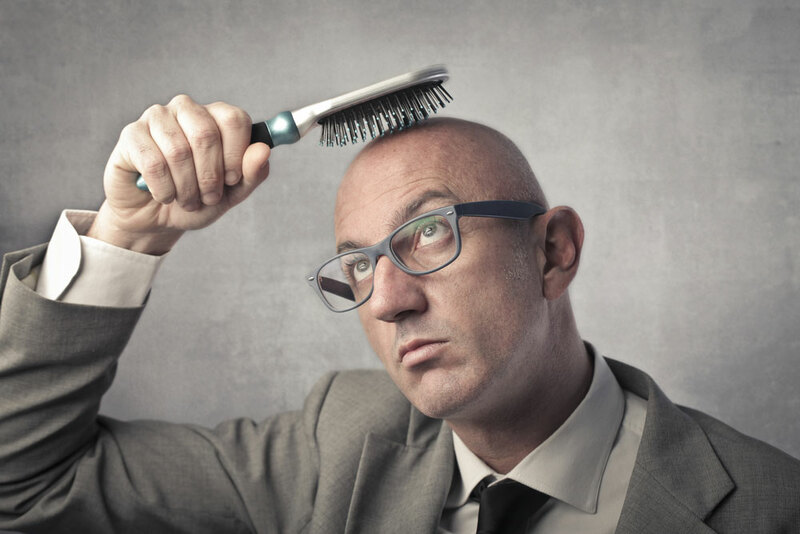 Is your brush or comb raking out more hair than you would consider as usual, are you noticing a thining of hair on top of your head or perhaps a more pronounced Hairline at the sides? Although it is possible that this loss could be caused by a medical disorder, prescribed medication, poor diet, bad hair techniques or severe stress. In about 95% of all cases the main cause is hereditary – and is known as male pattern baldness or androgenetic alopecia. In the case of hereditary hair loss/ thinning , the hormones and genes in your body have what we call a shrinking effect on your hair follicles. Making them ineffective at growing new hairs. Over a period of time the progressive shrinking of some scalp follicles leads to a shortening of the hairs cycle. Hair becomes thinner and shorter , until sadly no hair at all. Fortunately, Julian Jay has a product that can do something about this, hereditary hair loss can be effectively treated using his treatments.